Amish Life Magnet Art. 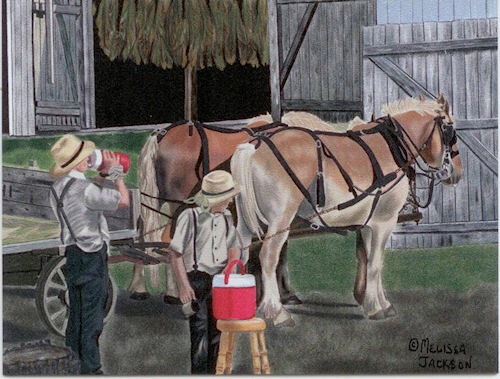 Printed Magnets Depicting Life in Amish Country. Each Magnet is 6" x 4 5/8". This is Exclusive Artwork at Jake's Country Trading Post Only. Sticks to any Magnetic surface, including refrigerators, cars, lockers, file cabinets, etc.